Is Husband’s Payment of 230 Gold Coins Under Islamic Marriage Contract Excluded from Wife’s Property? Under the law governing Islamic marriage, a “Maher” (sometimes written as “Mahr”) is a written marriage contract. In the recent Ontario Court of Appeal decision in Bakhshi v. Hosseinzadeh, the narrow legal question was whether, under the Ontario Family Law regime, the property transferred under a Maher is excluded from the definition of Net Family Property (NFP), and by extension excluded from the equalization calculation of the parties’ respective NFPs upon divorce. When they married in Iran in 1995, the couple had entered into the Maher in keeping with their religious and cultural beliefs. 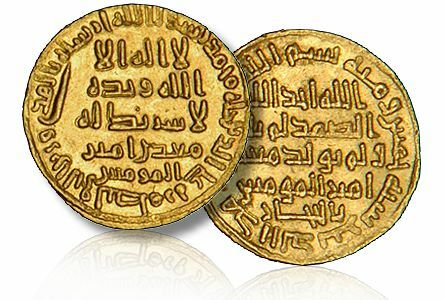 The Maher contained a clause that required the husband to pay the wife 230 gold coins promptly upon her request. The spouses later immigrated to Canada. When in 2013 the wife began divorce proceedings and various related court applications, the issue arose as to how the notional transfer from the husband of those 230 gold coins under the Maher was to be treated in law. At the initial trial, the judge concluded that the Maher obligation was valid and that the value of the gold coins – about $80,000 – was to be excluded from the wife’s NFP total. The Court of Appeal was asked to entertain the husband’s appeal. It began by confirming the ruling of prior courts to the effect that despite being religion-based, marriage contracts such as a Maher can be enforceable, provided they satisfy the elements of a valid domestic contract under Canadian law. Once deemed valid, they are interpreted like any other civil contract, by looking at their wording and the objective intentions of the parties at the time the agreement is made. Next, the Court observed that definition of NFP found in the provincial Family Law Act includes all property owned by a spouse on the valuation date. The Maher in this case contained no express agreement that the payment of 230 gold coins was to be excluded from the wife’s NFP, nor was there any basis to infer that the spouses intended at the time to exclude it. To the contrary, it was executed in Iran and contained other terms that suggested the couple envisioned continued life in that country, and were not contemplating their potential mutual obligations under the Ontario legislation. The Appeal Court concluded that the Maher payment was to be treated under the Family Law Act like any other payment obligation between the spouses, meaning that it was to be included in the overall calculations. That outcome was in keeping with the rest of the legislative regime, which envisions that spouses own property separately during marriage, and does not allow for transactions between spouses to be excluded from NFP calculations. The Court re-calculated the NFP by including the value of the Maher payment, while clarifying that the husband still needed to actually (i.e. physically) transfer the 230 gold coins to the wife’s possession. Even though its value was to be included in the overall equalization calculation, the Maher payment itself was considered a demand obligation with a paper value, which meant the wife was entitled to pursue debt collection remedies if the husband refused to pay. Spousal Support Advisory Guidelines – Are They a Package Deal? In a decision called Mason v. Mason, the Ontario Court of Appeal considered a narrow legal question: Is a judge entitled to use the Spousal Support Advisory (SSAGs) for partial purposes, but disregard it for others? And if the judge departs from using the SSAGs, must he or she give specific reasons for doing so? The Masons were a husband and wife who had decided to divorce after a marriage spanning almost 20 years. During their relationship they had worked together to build a successful business, and after separating were able to settle all issues except the amount of spousal support that the husband should pay the wife in the circumstances. They went to court to have a trial judge determine that amount for them. In his reasons, he had made a finding that the husband’s annual income was about $400,000, including certain corporate income that came from the husband buying out the wife from the business. He determined the wife’s income to be about $82,500. After consulting the SSAGs to determine the proper range of support, he ordered the husband to pay about $9,000 per month. The former spouses appealed, each claiming that the trial judge had incorrectly approached the income determinations, and had mis-used the SSAGs in doing so. They took issue with the income that had been attributed to them and with the resulting amount of the support award. As many of you will know, for Canadian judges who are asked to determine spousal support upon the dissolution of marital relationship, the SSAGs set out a pre-determined – but non-mandatory – set of calculations. As the name suggests, they are “advisory” in nature. As the trial judge was using the SSAGs to determine the amount of spousal support, it was incumbent on him to either rely on the Guideline provisions for determining income — or to explain why they should not apply. It’s a thinly-sliced distinction, but means that despite being an advisory guide, once the trial judge had referred to the SSAGs in determining the spousal support range, he was required to at least explain why he considered them inapplicable in the Masons’ case. With that said, the Appeal Court reiterated that the SSAGs “cannot be used as a software tool or formula” whereby the judge merely plugs in the income figures, obtains a range, and chooses the midpoint. They must be “considered in context and applied in their entirety”. The Appeal Court also pointed out that the trial judge had given too few reasons on how the specifics of the various dollar-amounts were calculated. In the end, having identified errors in the trial judge’s income calculations for both parties, the Appeal Court declined to send the matter back to trial, and opted instead to make the income adjustments itself. It adjusted the husband’s income downward by about $200,000, and the wife’s upward by about $20,000. The spousal support component, payable by the husband to the wife, was adjusted to $1,500 per month. In this video we review ways to enforce child and spousal support Orders in Ontario. Between divorced and separated couples, a spousal support order is usually structured so that one spouse will pay the other on an ongoing basis, often monthly and for a term of many years (at least until there is a material change that dictates that the order should be changed). In other words, spousal support is paid out over time, with periodic payments made in specified amounts on a regular basis. The majority of spousal support orders take this form. However, courts have other payments structure options available to them. Somewhat less common is an award calling for a single, lump-sum payment, which is specifically authorized under section 33(9) of the Ontario Family Law Act. • The paying spouse’s capacity to provide support. In Davis v. Crawford the Appeal Court emphasized that a court must weigh the perceived advantages of making the lump sum award being considered in the particular case against any presenting disadvantages of making such an order. • Whether, if the lump-sum award is ordered, the recipient spouse is unlikely to receive any equalization payment or child support payments to which she is entitled. • Whether there will be any resulting disparity in the former spouses’ income, if the recipient spouse will not receive his or her share of the equalization payment (that otherwise represents the apportionment of the couples’ Net Family Property). Spousal support — which is sometimes called “alimony” — is money paid from one spouse to the other after the dissolution of the relationship. The obligation to pay spousal support is a legal one, and may arise either from a marriage, or from a common-law relationship. Note that there are certain tax consequences relating to spousal support — both from the payor’s and the recipient’s perspective. In short — and provided it is paid pursuant to either a written separation agreement or a court order — it is considered “taxable income” in the hands of the spouse who receives it, and is deductible from the taxable income of the spouse who pays it. These tax ramifications are taken into account when determining the amount of support. We hope you have found this video helpful. If you require further information about spousal support please contact us. You can get a copy of the Child Support Table for Ontario by phoning 1-888-373-2222. Or you can visit the Department of Justice Canada’s web site at www.canada.justice.gc.ca/en/ps/sup and click on “Simplified Federal Child Support Tables” to find the table for each province and territory.